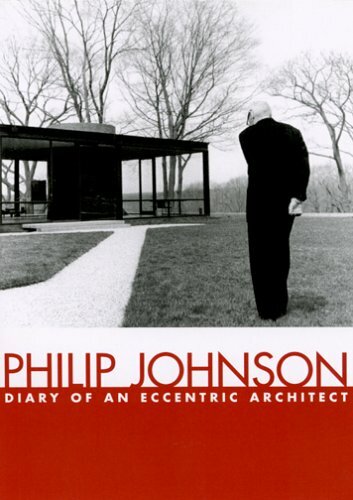 A fascinating look into the mind of one of our most creative and significant architects, Philip Johnson who was always on the forefront of stylistic change. His property in New Canaan, Connecticut, is a kind of laboratory where Johnson was his own best client. It was there that he built the famous "Glass House" that he resided in for so many years. This building has no walls; (the landscape became "expensive wallpaper") an accompanying guest house, by contrast,has no windows, though it is light and sensuous inside. This documentary depicts Johnson at work and the importance of the architectural act, the actual construction, and how the buildings interact with their environment - in this case, the autumn leaves or snow of New Canaan. French architect Jean Nouvel has long been known in Europe for his bold, shimmering glass museums, concert halls, and high-rise towers. The much-acclaimed new Guthrie Theater in Minneapolis is displaying Nouvel's remarkable talents to the public. With a cantilevered lobby that extends 175 feet over the Mississippi River, the dark midnight-blue, aluminum-paneled structure has captivated the culturally conscious city and helped spur the rejuvenation of a once-industrial waterfront.